Browse > Home / Strategy / Articles / Vintage 101: Aces High! Howdy folks! It's time yet again for another edition of Vintage 101! 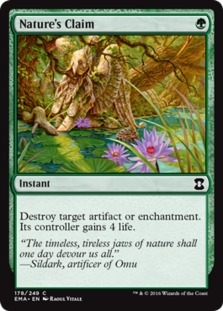 I'm your host with the most, Joe Dyer, and this week we're yet again deconstructing another Vintage format list for you to enjoy. This week, we're talking about a deck that is fairly unique in that it seeks to attack its opponent with a number of different two-card combos. For that distinction, it's earned the name "Two-Card Monte," and it's stuck. In addition to that, this week we'll also be talking about the VINTAGE SUPER LEAGUE and Week 3 of Season 9! 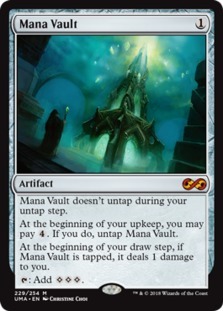 The origins of Two-Card Monte take place (no surprise) from The Mana Drain, where the deck originally appeared in the Vintage Improvements section. 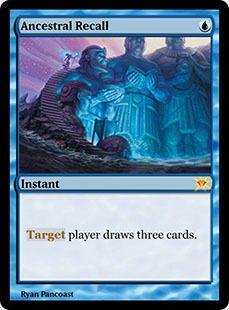 Since then, the list showed up in an article by Matt Elias (one of the original creators of the deck) and was taken from there, continually improved upon until where the deck sits today. The deck gained some clever notoriety on Season 8 of Vintage Super League, notably piloted by Jason Jaco, who is a big fan of the deck. 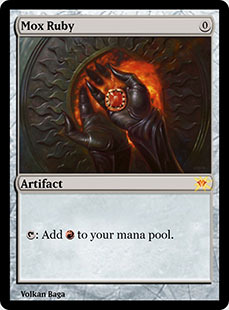 The deck combines several concepts of two-card combos that usually end the game on the spot, along with ways to tutor up those combos as needed. It's interesting on the wavelength of being a deck that isn't quite that close to the Meta game and can sometimes surprise people because of it. Alright, let's take a look at the list! This week our list comes from VSL competitor and long-time Queen of Dredge, Erin Campbell! Alright, let's deconstruct what this deck is doing! 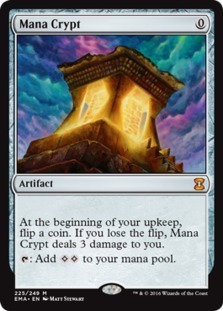 Outside of the regular artifact mana we tend to see in other decks are lands like Mishra's Workshop and Ancient Tomb in addition to rainbow lands like Gemstone Mine and Mana Confluence. 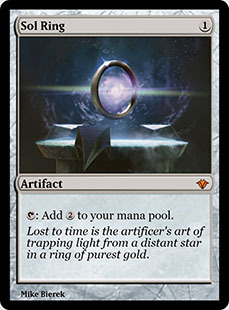 This can allow the deck to accelerate and quickly cast a piece of its combos if it needs to. The two primary combos in this deck are the Painter's Servant + Grindstone combo and the Helm of Obedience + Leyline of the Void combo. 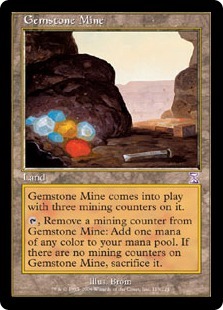 In the first combo, the way that it works is that Grindstone mills the opponent and looks to see if the two cards share a color. If they do the process is repeated. 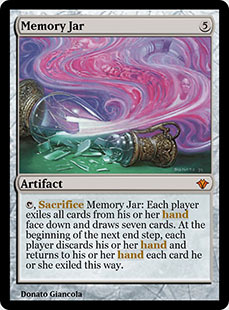 Since Servant makes everything the same color, the process happens repeatedly, milling the opponent to 0 cards. The other combo functions on the back of Helm's requirement that the cards hit the graveyard. 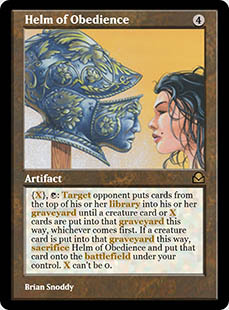 Since Leyline makes it so they go to exile instead, the cards never hit the graveyard and thus Helm activating for X=1 is enough to infinitely mill the opponent's deck into the exile zone. 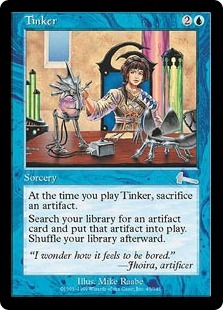 Tinker receives an honorable mention since it is capable of fetching up halves of the combo if need be. 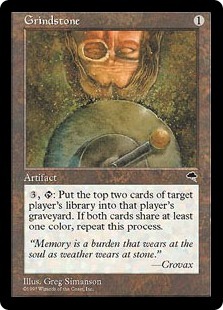 Grindstone also interacts rather favorably on its own with Leyline since even if it doesn't get repeated you are milling them into their exile too. 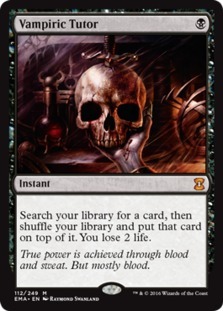 Because this deck can't operate on the same traditional cantrips like other decks in the format try to, it has to leverage power of tutor effects like Demonic and Vampiric along with Power like Ancestral Recall. 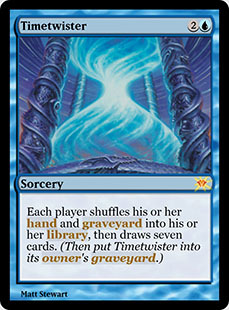 Time Walk rarely shows up in these lists because all of Two-Card Monte's combos end the game immediately. 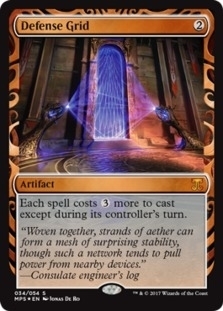 And also, the wheel effects are powerful from the standpoint of being able to refill to possibly combo but also Wheel of Fortune and Memory Jar interacts nicely with Leyline of the Void. 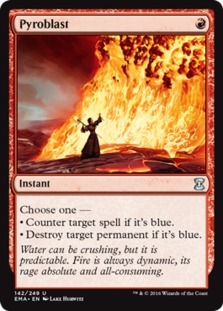 Finally, Demonic Consultation is a powerful effect for one mana if you're looking for a specific half of your combo. Actually playing Two-Card Monte is an instrument in learning when to go for the throat of a combo fast and quick or when you need to set things up a little slower. 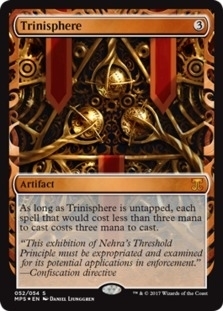 Since this deck doesn't play Force of Will (because it can't) most of your interaction on the stack is going to be related to the usage of Pyroblast and forcing your opponent to pay more with Trinisphere. 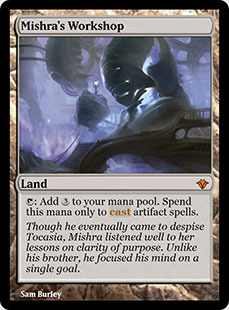 Thankfully, because of lands like Mishra's Workshop you can easily power out combos like Painter's Servant + Grindstone on Turn 1 if you have the ability to do so. 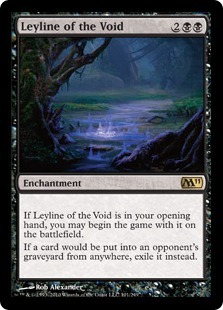 A free Leyline of the Void gives you half of the combo with Helm of Obedience, while also giving you hedges against decks like Dredge in Game 1 as well as against decks that utilize Snapcaster Mage. Painter's Servant lets you do some relatively interesting things with Pyroblast, since it turns the card into a Vindicate effect at instant speed for one red mana. 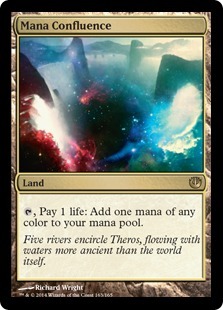 This includes lands. 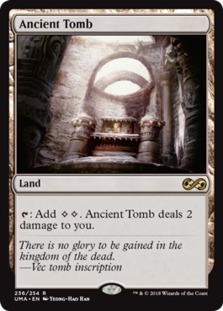 Now let's take a look at the sideboard options this deck has access to. 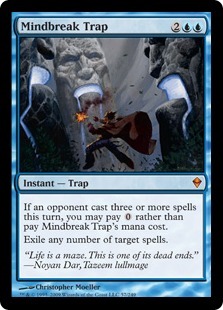 Two-Card Monte is slightly unique in that its Dredge matchup is already pretty stellar because of the four main deck Leyline of the Void, but occasionally you need a little more, in addition to being able to hate out Oath of Druids. Containment Priest helps this. 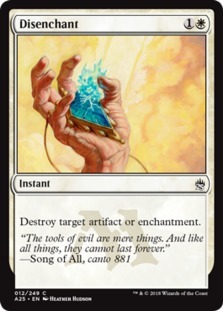 Since effects like Phyrexian Revoker, Sorcerous Spyglass, and Pithing Needle can be problematic, being able to blow them up to use your combo pieces sometimes requires additional hate. In addition, cards like By Force are very powerful because they are scalable, making them double effective versus Ravager Shops. Sometimes this deck needs some additional interaction on the stack like additional Pyroblast as well as Mindbreak Trap, but also sometimes an additional rainbow land is necessary. 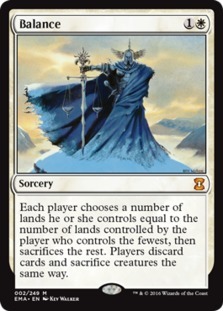 Balance is often a one-sided board wipe since this deck runs so few creatures. 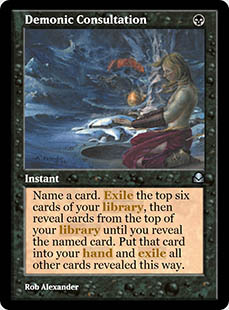 While this card may look a little odd, it actually makes a good amount of sense. 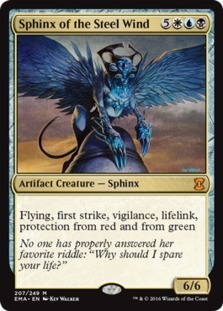 Sphinx of the Steel Wind is a very interesting target for Tinker, since its protection from red makes it invulnerable to being stolen by Dack Fayden and being blown up by both Nature's Claim AND Ancient Grudge AND By Force. 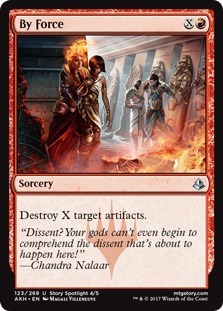 In addition, if you manage to put a Painter's Servant into play naming Red, your Sphinx will have protection from even Jace, the Mind Sculptor, which makes it very attractive and powerful as a backup Tinker target. VINTAGE SUPER LEAGUE S9 WEEK 3! That's right folks, time for a recap of this week's episode of Vintage Super League! This week we get to see some really impressive action from not only one of Vintage's most prolific minds, but also the approach of a player who doesn't play a lot of Vintage. Let's dig into who the competitors are for this week, shall we? This is an exciting roster this week, and the players all submitted some great decklists, including some real spice. Let's take a look at them, shall we? Round 1 finds Rachel Agnes vs Erin Campbell! Rachel fires off a Turn 1 Lavinia, Azorius Renegade on the play and takes Game 1 with pressure and a timely Notion Thief. Game 2 Rachel makes a Stony Silence while fending off Erin's combo, using Library of Alexandria for great effect into Monastery Mentor to seal the game and the match! Round 2 shows Brian Kelly (with the spiciest ever of Rector Flash) vs Seth Manfield on BUG Leovold! Seth is able to shut it out in Game 1 with a solid set of draws. 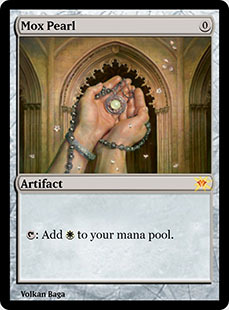 However Brian is able to win off the skin of his teeth with an Academy Rector trigger into Yawgmoth's Bargain for Game 2. Game 3 was crazy back and forth but Seth is able to steal the game and the match. Round 3 gives us Rachel vs Brian in the Xerox vs Rector Flash matchup. Rachel manages to take Game 1 after a lot of back and forth and a casting of Flash by Brian. Brian comes back on the ropes in Game 2 with Grand Abolisher and a Show and Tell into Emrakul, the Aeons Torn. However, Rachel spins the game around and swings for exact lethal with a slew of Monastery Mentor tokens to take the match. Round 4 shows off Erin Campbell on THE FULL MONTE vs Seth Manfield on BUG Leovold! 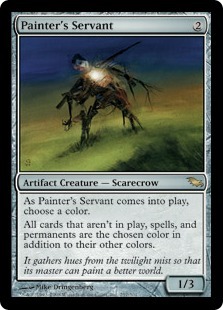 Seth takes Game 1 in a very wild game with triple Painter's Servant in play. Game 2 Seth is able to pull ahead of a possible Turn 2 Helm of Obedience. Seth pulls through to take the win! Round 5 is Seth Manfield vs Rachel Agnes! Seth takes Game 1 in a stellar performance, and proceeds to continue his streak in Game 2 to take the match and the series at 3-0! Round 6 is Erin vs Brian! Game 1 shows Erin assembling the Painter's Servant + Grindstone combo into finding out that Brian has an Emrakul, the Aeons Torn in his deck. 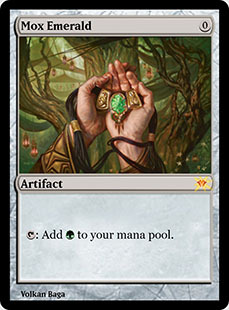 Brian assembles Omniscience + Yawgmoth's Bargain off two Academy Rector to be able to just draw a billion cards and cast all of them. He finds an Arena Rector and gets Ugin, the Spirit Dragon to decimate the now fully colored board for the win. Game 2 is wild, but Brian is able to sneak through the win to go 1-2! We end the night with Seth Manfield at 3-0, Rachel Agnes at 2-1, Brian Kelly at 1-2, and Erin Campbell at 0-3! 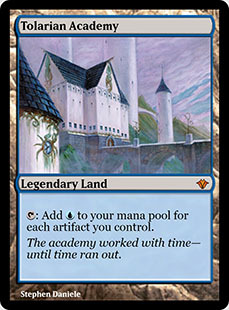 Coming hot off the heels of Ravnica Allegiance, we've got LAVINIA AND TAXES! That's all the time we have this week folks! 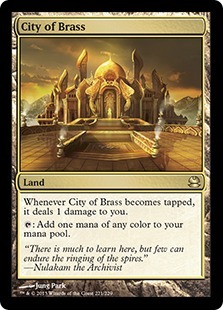 It is an exciting time to be playing Vintage! 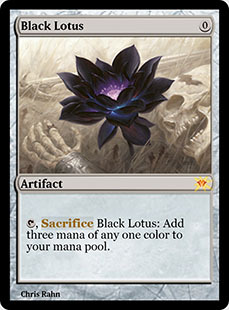 We're still not even yet through the awesome that is the Vintage Super League, and next week our very own SaffronOlive will be taking the stage on the VSL as well. We'll be covering that next week in addition to talking about another Xerox type build in the Vintage format, one that is pretty fair but gets to utilize a former Legacy all-star (before he ate the banhammer). That's right, we'll be talking about BUG Midrange! On another note, I put up another Vintage Series Deck Tech video! 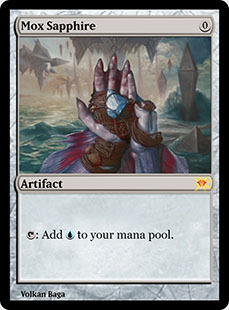 This one is on Pitch Dredge, and it even includes gameplay of the deck as well! Please take a look at it and consider checking out my YouTube to subscribe. It would really be great help to me! As always, don't forget to hit me up on Twitter as well! 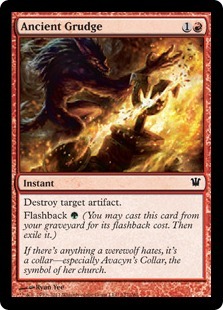 I'm always looking forward to talking to people about Vintage as well as seeing all your spicy decklists! Until next time, keep that Vintage train rolling!